Turner's experiment with reduced ad loads of up to 50 percent on TNT's new drama Animal Kingdom this summer has been so successful that the company is already planning on expanding its scope over the next two years. TNT will offer 50 percent reduced ad loads on all its new original dramas in 2017, and could also expand that offering to TBS' original series in 2018, TNT and TBS president Kevin Reilly told reporters today at the Television Critics Association's summer press tour in Los Angeles. "We're seeing very, very good results for that," said Reilly, who is also chief creative officer for Turner Entertainment, of Animal Kingdom's ad load reduction, which has added 10 minutes or more of content per episode. "Not only is the commercial rating higher, but we're also seeing a nice ratings lift." Reilly said Turner is still waiting on more data, but "we've seen indications there will be a higher brand recall." Focus groups have noted that "you really see the difference," he added. There was a "robust" response to TNT's reduced ad loads in this year's upfront, where Turner secured double-digit CPM gains. Turner ad sales chief Donna Speciale and her team sold reduced ad loads for new TNT dramas during the upfront, but "I want to do it across the board," said Reilly, who said the approach "has been embraced by the advertising community. That said, "we can not go it alone," he said, and if other networks don't follow suit with similar ad load reductions, "we're going to have to go back." For now, his shows have shorter breaks, instead of fewer breaks, but "we're still playing with that," said Reilly. Beyond the reduced ad loads, Reilly said "some of our native advertising efforts have really been great." He cited Maya Rudolph's "vajingle" spot for Seventh Generation tampons on Full Frontal with Samantha Bee, which went viral after it aired last month. "I heard from women, 'that's finally the way those things should be sold,'" said Reilly. "If we can replicate anywhere near that [with other native ads], then we're really onto something." 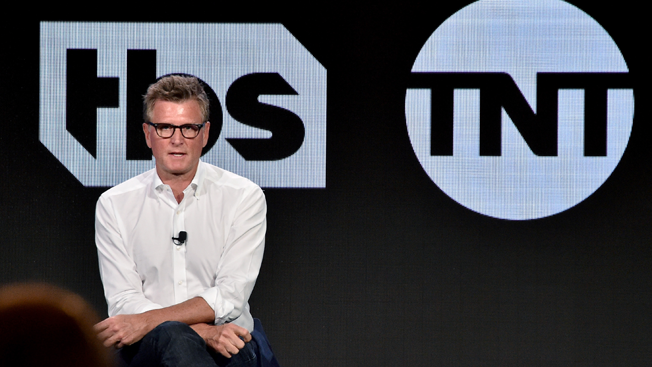 Reilly first talked about TNT's plans to reduce ad load during TCA's winter press tour in January, when he laid out his bold plans for transforming the two cable networks—and potentially, TV advertising—over the next three years. "It's a total reinvention of two of cable's most successful brands," he said then. "It's the beginning of a new way of looking at cable television." He elaborated on those plans, along with Turner president David Levy and Speciale, in an April Adweek cover story about Turner's programming and ad sales innovations. Those plans are already bearing fruit. In the second quarter of 2016, Turner had three of the top five cable networks in primetime in the 18-49 demo: TBS was No. 1, TNT was No. 2 and Adult Swim was No. 5. Going forward, Reilly will continue to experiment with new ways to premiere his new shows, as he did with the 25-hour marathon for Angie Tribeca's first season in January on TBS. TBS comedy Search Party, which Reilly said will "have young appeal," will be introduced in a five-day binge over Thanksgiving week, beginning on Nov. 21, and then again during Christmas week. TBS will make all 10 episodes of Season 1 available on demand the night of the premiere to encourage binge viewing. "We're playing with air patterns," said Reilly, who added that some cable providers are upset that they are "giving away" episodes for free with non-linear debuts. "We will never give away a whole season, but we're in the five-year business" and need to get viewers to sample the first episodes "so that they'll stick around," said Reilly. In other TCA news, Reilly said that Full Frontal with Samantha Bee will remain at a half-hour, because that's the length that Bee wants. "She's doing the show she thinks is best for her," said Reilly, but "we can expand it as needed." While TNT's new dramas, including Animal Kingdom and the upcoming Good Behavior, debuting on Nov. 15, are much darker than previous TNT fare, Reilly said that won't always be the case. "We're going to really open up our range" for other TNT dramas, he said. "I really don't think everything should be dark," he said. And he's not done reinventing the two networks yet. There will be a "lot of activity" in the next two years at TNT and TBS. "We're moving very fast," he said, "but fast doesn't do you any good if you're putting on a lot of crap."